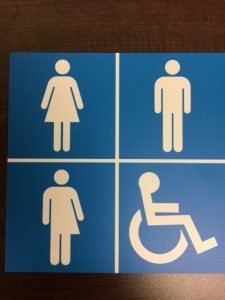 Are you looking for a general neutral sign for the bathroom in your workplace? For those of you that attended our conference on October 20th, 2018 a discussion around these signs was included in one of the talks. As follow-up we are writing the information on where you can obtain design. They are free. They have adhesive strips of the back so it is literally a peel and stick! 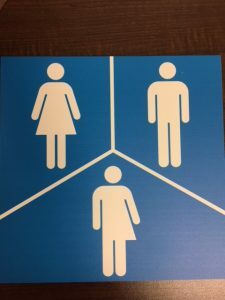 To request signs you can contact prideHealth@nshealth.ca . The prideHealth webpage is located here for folks looking for a bit more information about prideHealth services.